BACK ON THE MARKET !! CHANGED !! CLEAN and REPAIRS ...!! End Unit of 9 unit complex with private side patio and common area adjacent. Beautiful laminate wood floors in Living Room, Stairs, Hall and 3 "spacious" upstairs Bedrooms! Modern kitchen with granite counters, eating bar and plentiful cabinets opening to Dining Room/Area..... Nice storage area under stairs, 1/2 Guest Bath and direct access to large 2-Car Garage with bountiful built-in cabinets for additional storage complete the downstairs! Upstairs is open and bright with convenient office alcove at top of stairs. 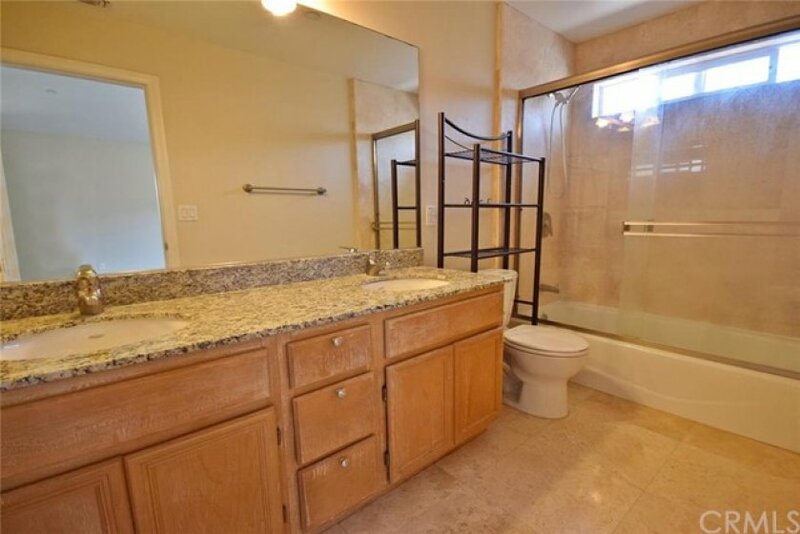 2 Full Baths upstairs including Master with double sinks. Owners Schools, Shopping, Parks and Restaurants nearby! Lot Size 1,263 sq. ft. Listing provided courtesy of Jin Kim at New Star Realty & Investment.